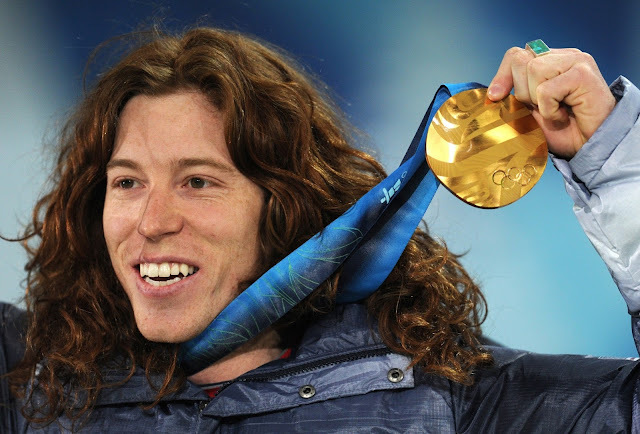 I was listening to an interview today with Shaun White (Professional Snowboarder, Skate Boader, Olympian, and Multi-time Gold Medalist of the X-Games.) and they asked him what do you think about when you are at the top of the run and you're waiting for the gate to open? He said: I think to myself and remind myself "This is no big deal". I've trained as hard as I can and I'm going to make this run down the mountain the very best I can at this moment. But no matter how this turns out at the end of the day I'm going to go and be with my friends and family and be with the people who love me no matter if I Win or Lose this event today. How many of us have those kind of friends and family in their life? How many of us at that level would be thinking those thoughts? How many of us at that level would have that type of inner-speak with ourselves? What a great view and what a great outlook on life Sean. Thank you for sharing that insight with all of us. It really helps to put things in perspective for the rest of us. Just think of all the pressures and stress we all have every day. Just think how much that brings people down and how worried people are about what everyone else thinks about them. Think of how limiting that is to most people. Think of how many people will never use their gifts and talents in this life because they are scared or just don't think they can achieve their goals because they think they aren't good enough, or smart enough, or pretty enough, or whatever negative inner-self talk they are telling themselves. What if in reality it's just like Shaun said... It's no big deal.